Use this physical switch to control your network lines. 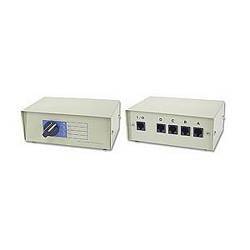 One turn switches focus from one 8P8C (RJ-45) port to another. Note: Not certified to any IEEE standard. Color may vary.